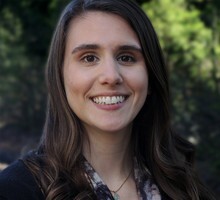 Kim Freda is a news content manager at OPB. Kim's career began in television at NBC & ABC affiliate WBOY-TV in Clarksburg, West Virginia. There, she covered a wide breadth of news, including environmental stories, political corruption and legal issues. Kim holds a bachelor's degree in broadcast news from West Virginia University. The Portland Police Bureau has identified a man who was detained by officers on Thanksgiving and later died at an area hospital as 52-year-old Richard A. Barry. A U.S. House candidate’s entire campaign staff resigns. A state House candidate ignores calls from his own party to step aside. And the president of the United States berates the mayor of Portland. Labor Commissioner Brad Avakian has accused legislative leaders of permitting a culture that downplays harassment and overlooks victims. Portland Police are looking for people who might have seen the Portland State University officer involved shooting of Jason Washington. Kinkel was convicted of murdering both of his parents and two classmates at Springfield’s Thurston High School. He was also convicted of attempting to kill 25 fellow students. Since Donald Trump’s presidential victory, Oregon’s lone Republican congressman, Greg Walden, has enjoyed a higher profile and more power. But with more influence comes extra scrutiny. We explain what Measure 101 would do and dig into what opponents and proponents are saying ahead of the Jan. 23 vote. According to the audit, the agency has failed to enact rigorous financial controls and properly determine who is eligible for coverage. While fire crews are anticipating significant rainfall beginning Saturday evening to help with suppression efforts, they’re concerned for landslides.